How To Install Lazy Load in Blogger - XpertShout Yayın bulunmaktadır. Today XpertShout will share how to install lazy load in blogger. There is a speed competition between bloggers to increase their website speed and get higher rank in google search engine. Lazy load is a new function in blogging world to increase blog speed. First you have to know that how lazy load works and how lazy load increase website speed. First try to know lazy load function and how lazy load works in blogger to increase website speed. There no any difficulty to install lazy load in blogger. 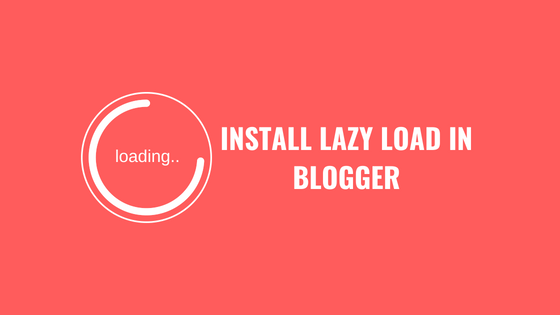 This is a simple script to install lazy load in blogger body tag. Lazy load can be installed in one step. Here is lazy load script to install in blogger blog or website. Add this script above </body> tag. Congrats! You have successfully install lazy load in blogger.